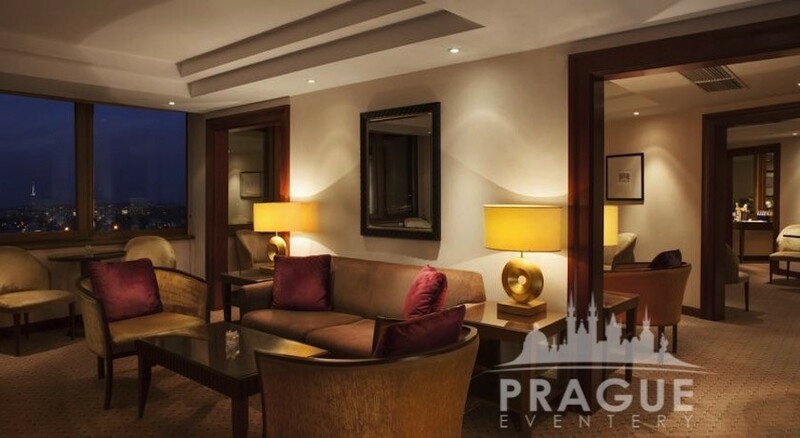 Next » "Four Seasons Hotel"
The Corinthia Towers Hotel stands atop one of Prague’s hills with breathtaking, panoramic views of this beautiful city. 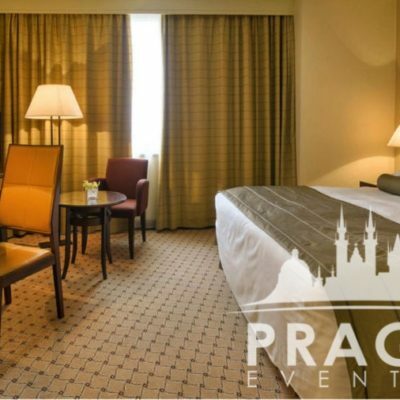 All of the hotel rooms offer the very best in regards to complete comfort and luxury. 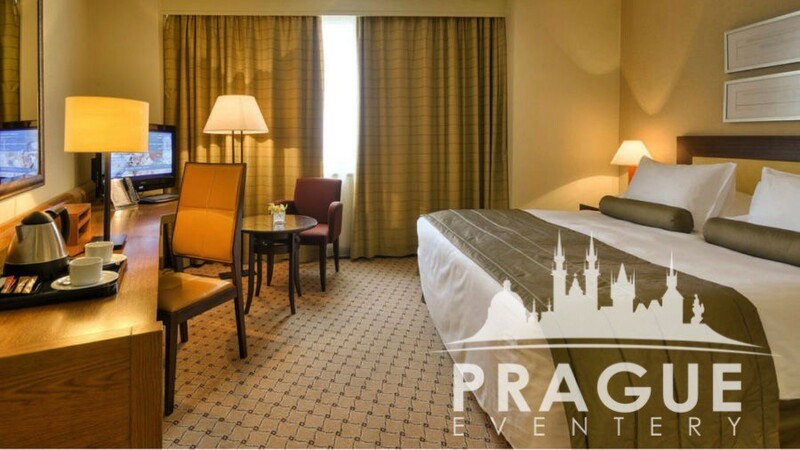 With fine wall coverings, luxury linens, and new furnishings throughout the room, the subtle earth toned rooms exude relaxation. 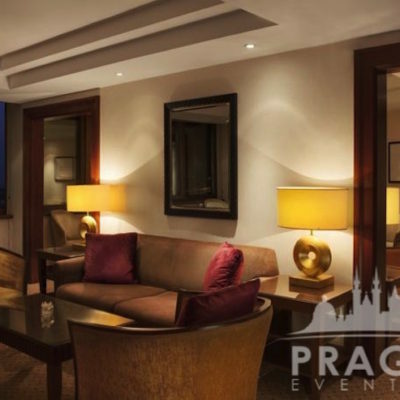 This Prague hotel is located on the very edge of the city center, but is conveniently adjacent to a metro station, which swiftly takes you into the city center in less than 5 minutes, A perfect location for a conference hotel Prague. 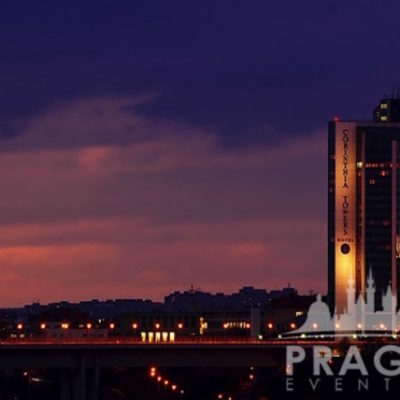 The hotel is also placed directly across the street from the Prague Convention-Congress Center, the largest meeting facility in the country. 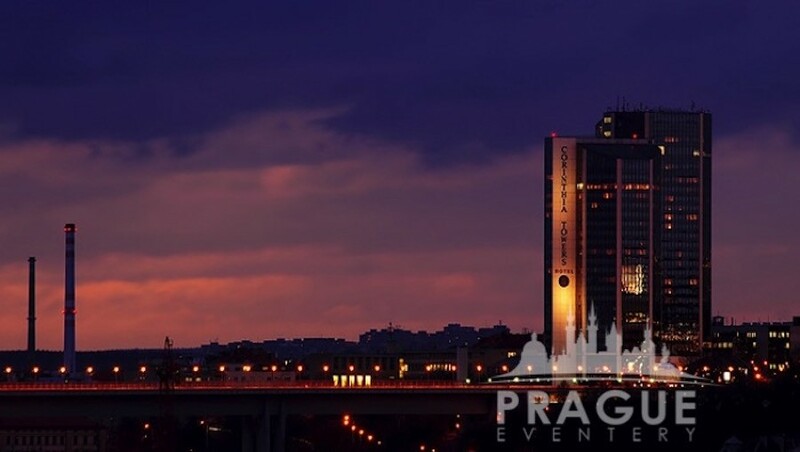 Although there is such a close proximity to the Prague Congress Center, the Corinthia Towers is itself well established in hosting conventions and meetings, as well as lavish private affairs, in one of its many and vast function spaces. Situated high above the city on the 24th floor, is the Bellevue Hall. 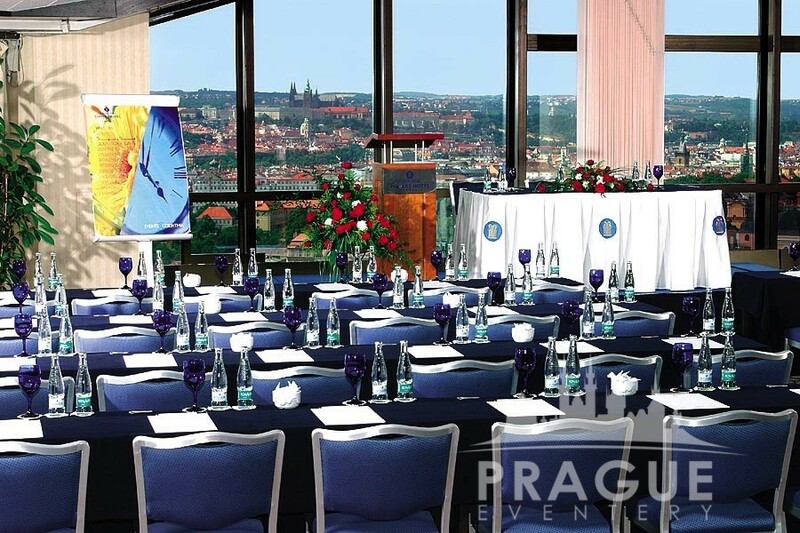 It offers a powerful view of Prague below, and can accommodate up to 420 guests. 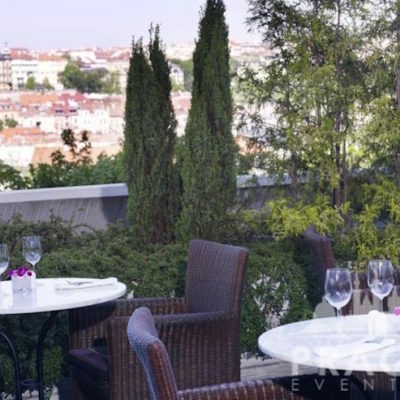 17 fully equipped meeting rooms (total area 1,174m2) are available to host your major event. 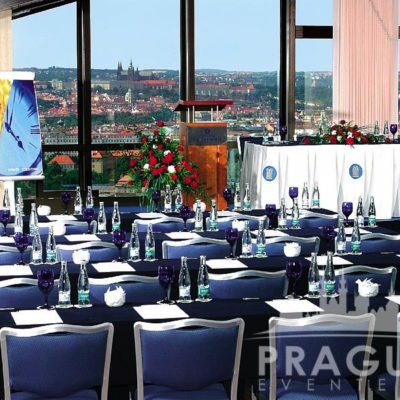 There are also several smaller areas for intimate gatherings in this large conference hotel Prague. The meeting room foyer is on the 3rd floor. 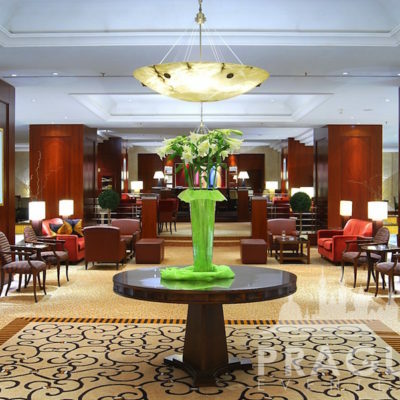 A central registration or check in area for your event may be setup here. 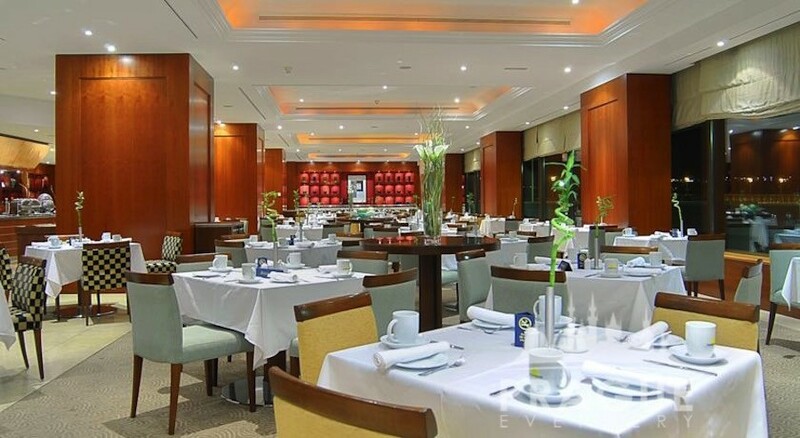 Separate executive and business club lounges are also available. 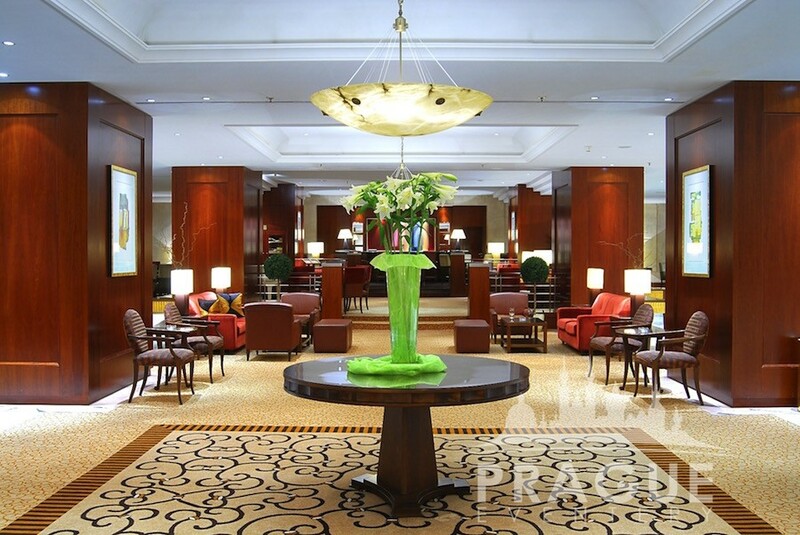 These include separate check-in, breakfast, as well as lounge and office facilities. They also provide the busy professional his or her own private tranquility. 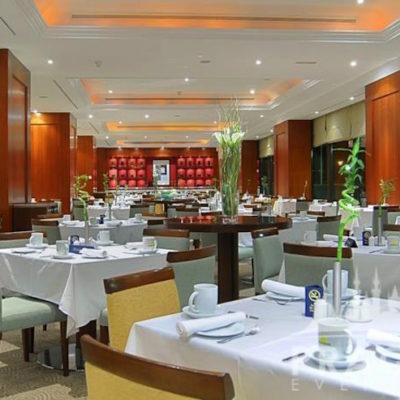 In addition to the glory of the newly appointed guest rooms and meeting spaces, the hotel also houses several restaurants. Each possess their own unique style and cuisine. 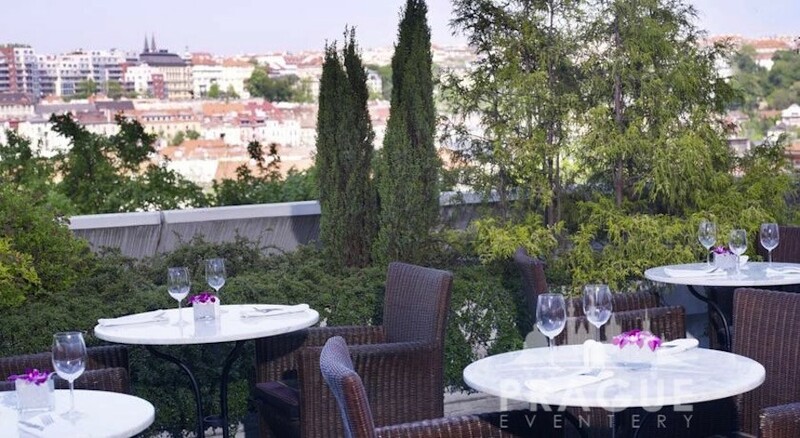 When you think you have seen it all, there’s still the exclusive Level 25 Health & Fitness Center on the very top floor of the hotel, with a large swimming pool area surrounded completely by glass walls. A true feeling of floating over the city as you actually float over the city.